Mokelumne River from the bridge was lovely. 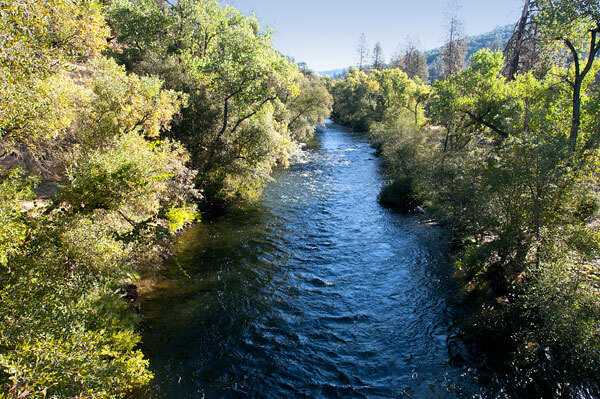 The Mokelumne River was mined at this point in 1848. Established in 1840, the Whale Boat Ferry operated until the first bridge was built, about 1852. Because the border between Amador and Calaveras Counties is in the middle of the Mokelumne River, Big Bar is a designated as a California Historical Landmark in both of the counties.